Two months after 14 year-old was hospitalized after a bus accident leaving him critically injured, he is finally going home. Jerry Cunningham, 14, was trying to catch a Broward County transit bus on Sample Road on May 10th to his middle school, when his arm became stuck in the door as the driver pulled away. Cunningham, who fell and was run over, suffered a traumatic brain injury and multiple broken bones. Back in march, all bus drivers received a memo that advised: “No operator will move any bus with passengers in front of the standee line”. Yet after an examination of footage on the bus itself, bus driver Reinaldo Soto is seen driving away with two women in front of the line. On that same video, when he discovers the accident, Soto can be heard yelling, “where did he come from”? Soto had been, up until that moment, completely unaware that Cunningham was hanging onto the door of his bus. The driver stopped the bus, ran to check on the boy, and then quickly got back into the bus to call for help. Young Jerry Cunningham spent a month at Broward Health Medical Center before he was later transferred to Jackson Rehabilitation Hospital on June 13. At the time of his transfer, Cunningham was still unable to walk or to talk. Cunningham underwent intense physical, speech, and occupational therapy and during his convalescence at Jackson, he has made substantial progress toward recovery. Cunningham is due to be discharged from the hospital but will still need to continue his physical and rehabilitative therapy, but on an outpatient basis. Buses are one of the first choices when looking for affordable transportation. Even though buses are a very safe mode of transportation, accidents can happen and accidents involving buses can cause very serious injury or even death. Because most buses lack on-board safety measures, such as seatbelts for passengers, this can put them at risk for serious injuries in the case of an accident. Sometimes when passengers are injured aboard a bus that is involved in an accident, though injured passengers by law are entitled to financial compensation for those injuries, in some cases, those passengers will find it difficult to recover compensation. This is especially true when the buses are owned and operated by the city government or municipality. In the State of Florida, the guidelines for eligible claims against municipalities are often stricter, allowing for a very limited window for injured passengers to file legal action. These cases can also cause problems for attorneys who are unfamiliar with such legal cases. 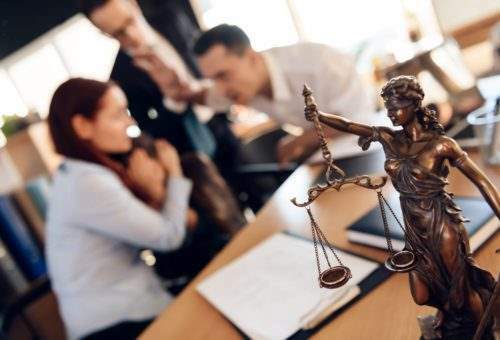 Our legal professionals have many years of experience in successfully settling legal cases against both private and public entities such as governments. Our attorneys have a proven track record of successfully recovering compensation for our clients. If you or a loved one has been injured in a bus accident, either as a passenger on board or an accident involving a bus, give our offices a call. You may be entitled to compensation for damages such as the recovery of medical expenses, rehabilitation, time off of work and other costs in addition to your pain and suffering. We will pair you with an attorney who will take the time to review your claim and give you several potential courses of action that can get your case filed in a timely manner that is most advantageous for you. Your initial consultation is without cost to you.